Home RESULTS SBI SBI-PO-EXAM SBI PO Mains 2018 Result Declared - Direct Link to Check!! 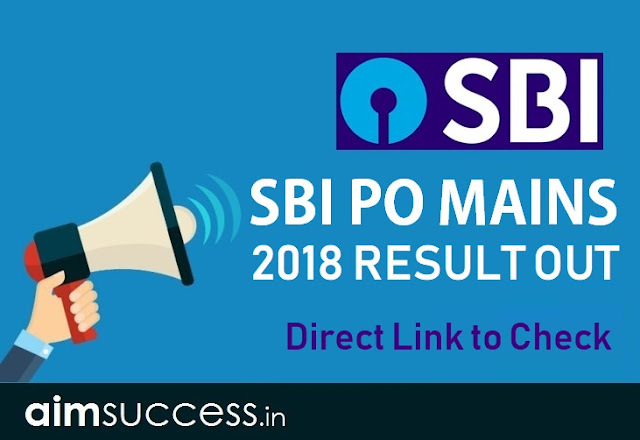 SBI PO Mains 2018 Result Declared - Direct Link to Check!! SBI PO Result for the Mains Written Exam 2018 are out! The SBI PO Mains took place on 4th August 2018 & the results are thus declared. If you are selected then you will have to appear for the Group Exercise & Interviews soon. Read further to check your SBI Probationary Officer Mains Result through the Direct Link in this article and beat the heavy traffic on the official Website! Click the link given above to check your SBI PO Mains 2018 Result. If your Roll no./Name appears on the screen then you are selected. Alternatively, you can also visit the Official Website of State Bank of India. Click the first link that says – “List of Selected Candidates for Probationary Officers Group Exercise & Interview”. Congratulation for all Selected candidates and stay connected for more updates related to SBI PO Exams 2018.